 In a world that moves fast, one man is on a mission to make domain transfers easier, faster and better than ever before. Uniregistry founder, Frank Schilling, is an evangelist of swift applications for the management of domain names. With a personal portfolio in excess of 300,000 domains, Frank Schilling definitely knows better. “We live in a world that wants to create things now, the present, the very minute desires are manifested, and domain names are part of who we are,” said Frank Schilling while boarding a plane. “If you want a domain transferred, there is no easy method to exchange it. Registrars are slow, and even with Uniregistry that I’m very very proud of what we’ve accomplished, there are limits,” added Schilling. The solution: Text Me Your Domain ™ – a new app for iOS devices designed to do one function, and do it well: domain transfers via the use of a simple text message. “You’re on the phone, you just sold a domain, but maybe you’re in the bathroom on in an emergency. Or you’re camping in the Appalachians with no 4G service, what do you do?  Text Me Your Domain ™ is our answer, and it’s so simple, you’ll cry from joy!” exclaimed Frank Schilling. By texting the domain to a specific number, Uniregistry servers jump to action, exchanging the necessary microcode with the domain’s Registry, that relays it through the state-of-the-art, high speed phone networks in the Caymans. With a simple text, the domain gets transferred to the phone of the person you want to send it to, without the need to jump through unnecessary hoops. “Innovation begins with a dream, sometimes big, sometimes silly but a man’s job is to take that dream and make something useful out of it,” said Frank Schilling, demonstrating the Text Me Your Domain ™ service. Definitely another big project that will eventually leap into lesser devices, such as Android and Windows based phones. 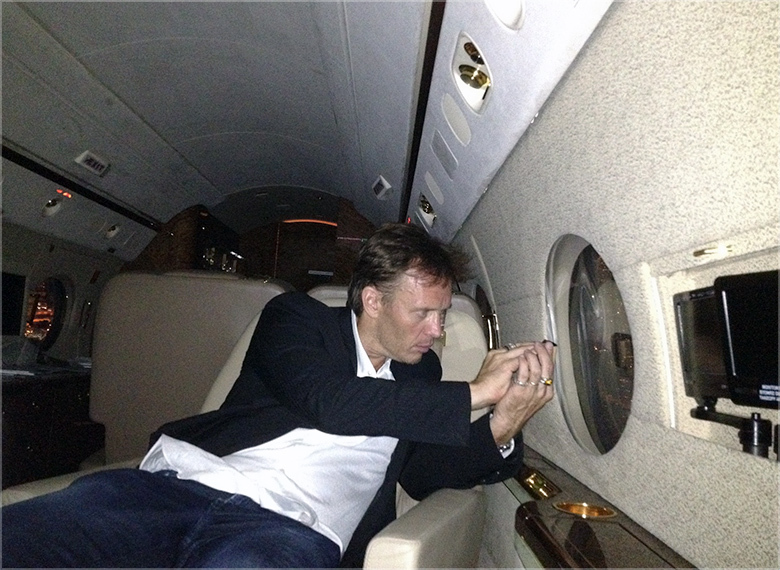 Uniregistry founder, Frank Schilling, using the Text Me Your Domain service during a flight.